Capcom's Christian Svensson says comments about Western developers by COO Haruhiro Tsujimoto were misinterpreted, and that the company remains committed to studios located outside of Japan. 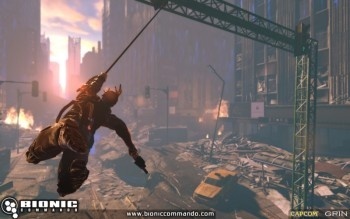 Near the end of 2009, Capcom said that the commercial failure of Bionic Commando, developed by the defunct Swedish studio Grin, had led it to consider ways to separate the roles of Japanese and Western developers. Under the new strategy, Western studios would be used primarily on existing franchises, while new IPs would be developed in Japan. Tsujimoto went as far as to suggest that if it was somehow possible to avoid using Western studios altogether, it would. "We cannot develop a sufficient number of titles without using the resources of these companies," he said. "This is why we plan to continue using these alliances." But Svensson, the vice-president of strategic planning and business development at Capcom U.S., has denied that the company wants to distance itself from Western studios. "I'm not exactly sure what the intent of [Tsujumoto]'s statements were, but I also know that I saw how they were taken by a lot of media, and I think they were not quite interpreted the right way," he said. "Haru made a statement of something to the effect of 'new IPs are going to be developed in Japan, not in the West, and I think that is a fair statement. What I think a lot of people interpret that as is Capcom's turned its back on Western development." "I think if you ask [R&D head Keiji] Inafune-san, that's actually far from the truth," he continued. "We probably have more and bigger projects in development or soon to be in development with Western developers than we've ever had. But, they aren't new IP." He also acknowledged that Bionic Commando wasn't actually a new IP at all, but said that because it had been out of the collective consciousness for so long, Capcom treated it as essentially the same. "For whatever reason, Bionic Commando was looked at internally as for all intents and purposes as a new IP in the fact that it was a long-dormant franchise that really had no broad awareness," he said. "I would certainly not categorize it as a new IP necessarily, but the effort to re-launch it was not that much unlike what a new IP would've been."